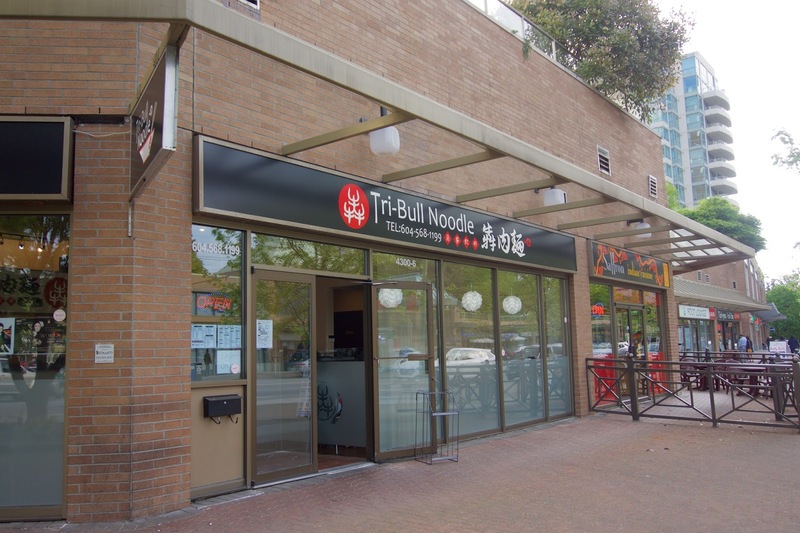 Vancity Noms: Tribull Noodle - New!! They just opened up in April on Kingsway! 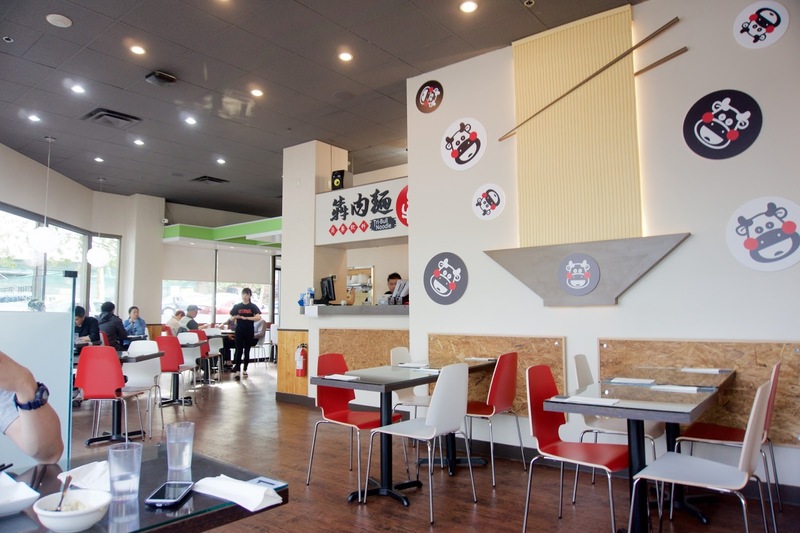 With Saffron Indian Cuisine, Bubble World, Curry King, and Tairyou Ichiba nearby (not to mention Crystal Mall) they definitely face some pretty fierce competition!! Looks like things got pretty intense LOL!! 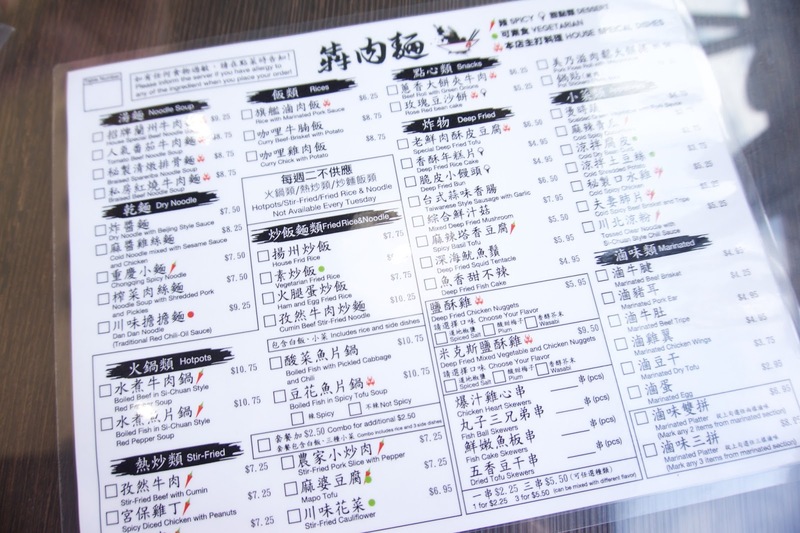 I wouldn’t imagine downing a bowl of piping hot noodles that fast!! 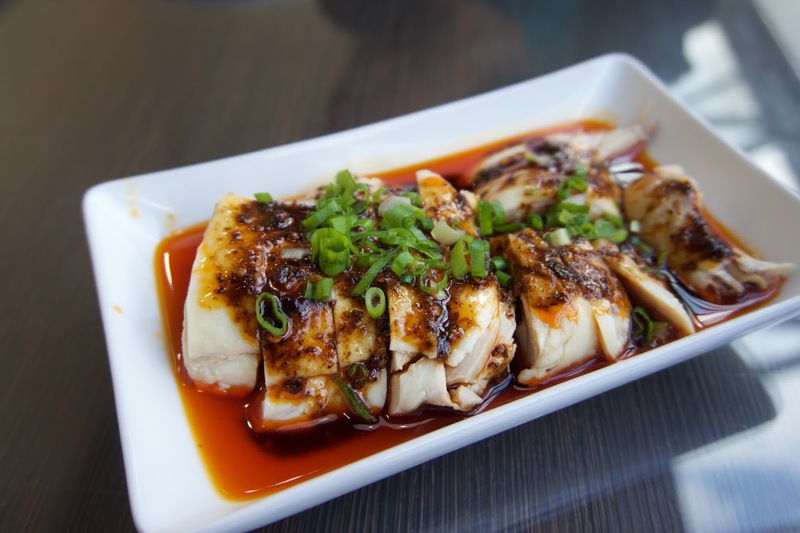 Tribull Noodle specializes in Szechuan cuisine - but they also have Taiwanese night market snacks like salt peppery chicken, egg omelettes, fish cakes, etc. which I thought was pretty random lol!! 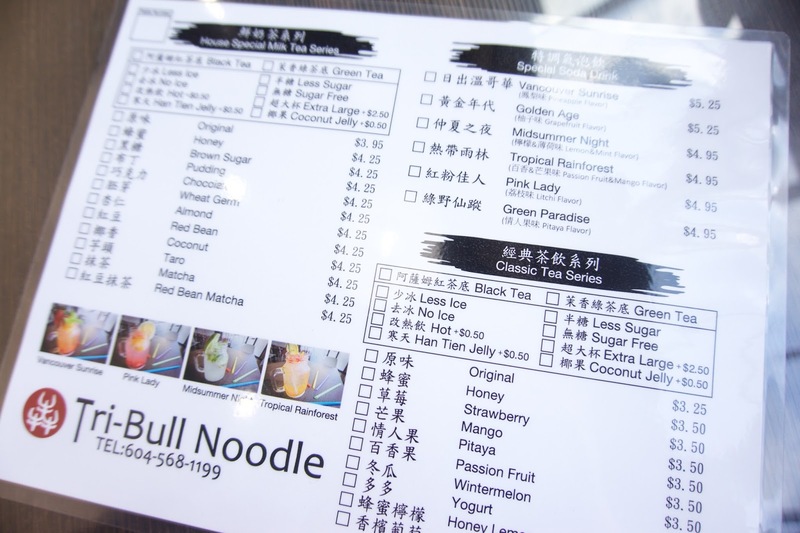 They even have a bubble tea menu!! This was a decent version of saliva chicken! It was pretty generic tasting though, really spicy, and pretty one note. The chicken itself was pretty tender though!! 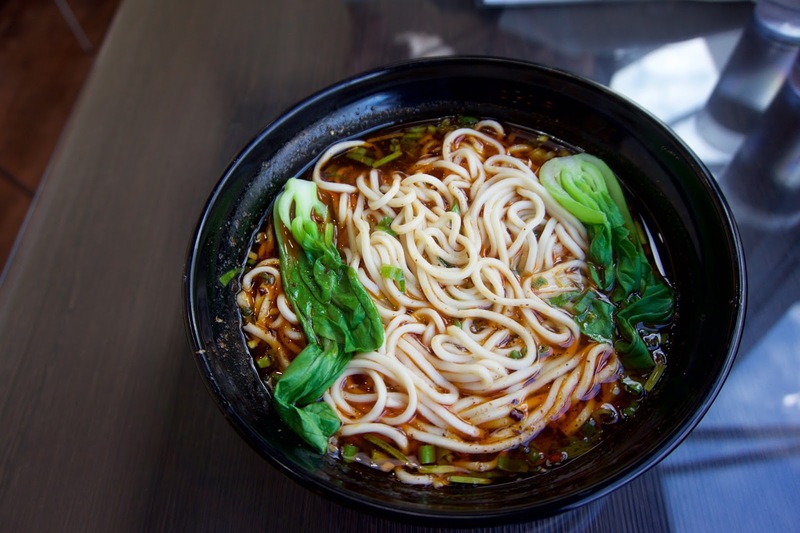 The size was perfect as an appy dish - and since the noodles didn’t come with any meat - it was a great compliment to the chongqing noodles!! 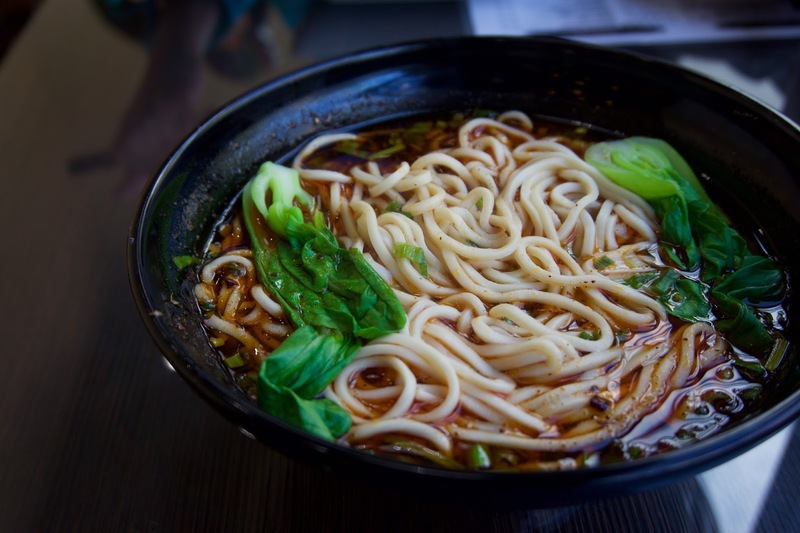 The noodles were really appealing: cooked al dente, toothsome and thick, they tasted like hand made noodles! The broth could’ve used a bit more work though. It was a little oily, and the flavours were pretty one note - exhibiting a touch of saltiness with a heavy dose of chilli oil. The noodles also came with some bak choy - it would’ve been nice if they included a bit of meat haha! I'm so sorry!! That's really strange - it seems to be viewing fine on my phone! Which browser are you using? Or you viewing the posts via email or are you using a feed app? Have you tried clicking "View Web Version" on the bottom of the webpage on your phone? Maybe it's just the mobile version that's not working! I'm viewing the posts through the Mail app on my iPhone 5.! I used to be able to read it straight from the email itself but now I have to go to safari to be able to read it, because the font in the email is so tiny!